Babies respond to sound from the time they are in their mother's womb. The noise from outside the womb sounds more like multiple echoes to the baby and surprisingly babies can recognize their mother's voice from others even in the womb. As soon as I came to know about my pregnancy, I checked about garbh sanskaar and music that one should be listening to during pregnancy. I found a music CD that had mantras, hanuman chalisa etc, sung by some renowned Indian singers. When a child is in the mother's womb, it is the most relaxing place to him, he is resting and getting nourished without any worries. Baby in the womb is in deep sleep but aware, quite as close to how people are when in meditation- relaxed yet aware at the same time. If you see the ancient temples in India, the place where the deity resided and the monks meditated is also called garba graha, in the womb of the mother (the deity). So, the more one experiments with the child's awareness inside the womb, the more it remains in their subconscious mind even after they have come to this world. Music during pregnancy brought a whole lot of positivity in my outlook. Pregnancy brings about a lot of hormonal changes, music tends to settle it. Since the beginning of my pregnancy I started listening to the Garbh sanskar music CD and chanting gayatri mantra and other mantras. I am a BSG (Bharat Soka Gakkai) member too, so, I performed my regular chanting as well and i still remember how during pregnancy A would respond to my chanting, by kicking and twirling inside. To listen to gayatri mantra click here. So much hullabaloo for gayatri mantra, what exactly is Gayatri mantra? 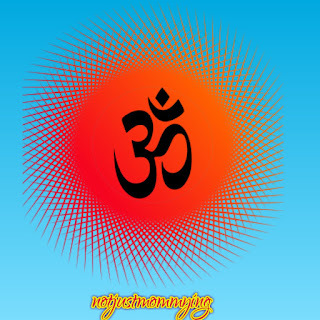 The Gayatri Mantra is an elaboration of OM. It comes from Hindu scripture Rigveda, written some 2500 years ago. Gayatri mantra is a highly valued and revered mantra and is said to initiate the spiritual inclination in a human being. Researchers have found that the configuration of syllables in Gayatri mantra creates strong vibrations which affect positively to the holistic well being of the one chanting and those listening. Well, I won't really delve into the technicalities of it because I have done no research over it and nor am I qualified to talk about mantras et al. I am going to share my experience here. Once at around 6-7 months old when A was extremely cranky, I casually started reciting gayatri mantra and he suddenly stopped crying. It happened a few more times and then I couldn't ignore it. I started experimenting to confirm if it was this mantra that was soothing him down or something else. So, at one instance I sang other song and he continued crying. At another incident i chanted for a while and stopped, the momnent i stopped, he started crying again as if asking me to chant again. So much so that he would say "bhoo bhoo" meaning prompting to sing "om bhur bhuva svaha". A responds to Gayatri mantra in such a positive way because when he hears these syllables now he is reminded of the most relaxed state that he has ever been in, his mother's womb; he surrenders himself to me and quietens down. Now that he is a toddler and checks my patience, every now and then, I end up chanting gayatri mantra for my own sanity and to control my own anger!!! The Vedas say "Chanting Gayatri Mantra purifies the chanter. Listening to the Gayatri Mantra, purifies the listener." It has helped me immensely and i am sure i am not the only one to have been benefited from it. I would urge all to be mommies and new mommies to try it out, and those who have experienced it's benefits please share in the comments below, so that other parents can read too. Just like the music calms and soothes us, it does the same to the baby inside. There have been researches and studies that have shown correlation between music and advanced linguistic and motor skills. When we listen to music while pregnant, the baby inside gets the vibrations of it, which further helps in improving baby's reflexes. So sounds have a major impact in the formation and development of the mind in both conscious and subconscious level. What kind of music should you listen to during pregnancy? Well, it totally depends upon your choice of music. I listened to bollywood classic music, bhajans and shlokas and Nusrat Fateh Ali khan. Whatever makes you happy outside, will definitely make your baby happy inside. P.S. My special thanks to Stuti, an old friend who has done her Ph.d in Music and took time to help me out on my series of posts on Music and babies. I have also heard about the strong vibrations from Gayatri Mantra. And how helpful and auspicious it is to chant this Mantra. I agree, Music when you are pregnant is relaxing but also very good ! You chose Gayatri Mantra, which is definitely a powerful and mindful way to relax and rejuvenate and feel good. Gayatri mantra has magical effects during pregnancy and even after the baby is born. Om is that mystical sound which creates positive wibes. I also read that chanting Om can calm down a crying baby and I have tried it. It works.